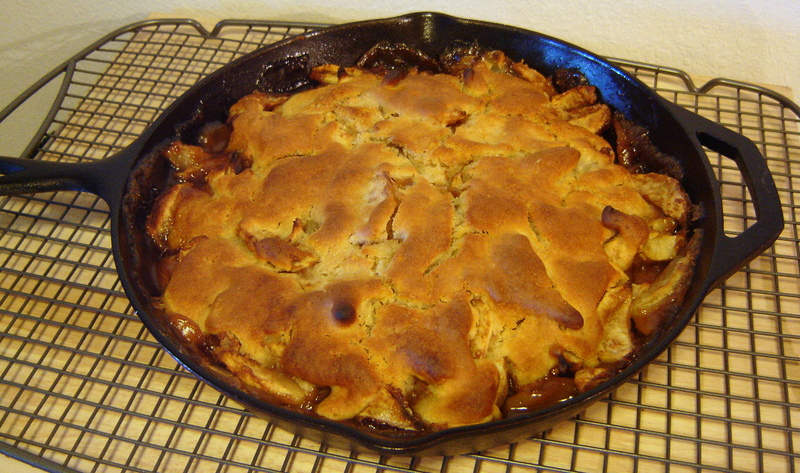 I made this Caramel Apple Cobbler in my 12-inch cast iron skillet – one of my most favorite baking tools. 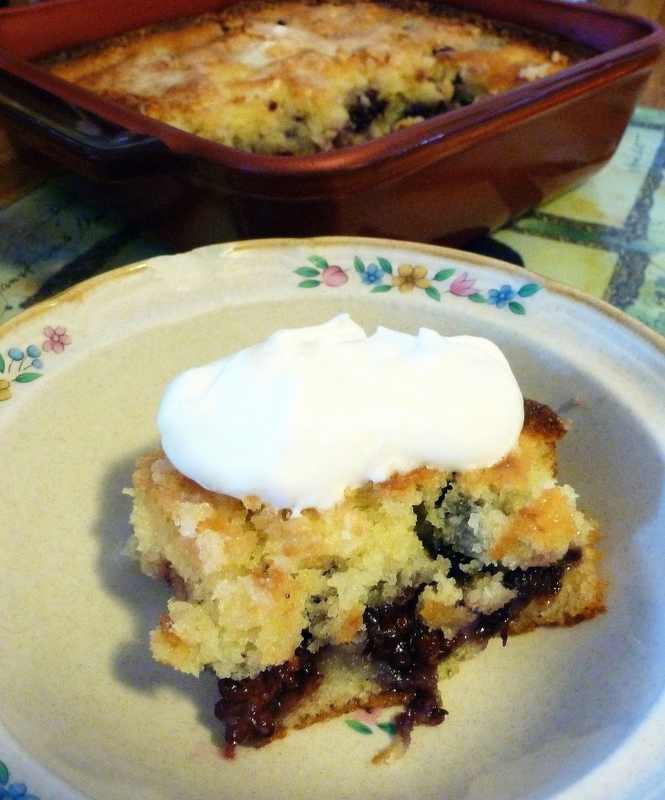 This cobbler is very good served cold, but it’s especially good if served warm, with a scoop of ice cream or a dollop of whipped cream to top it off. 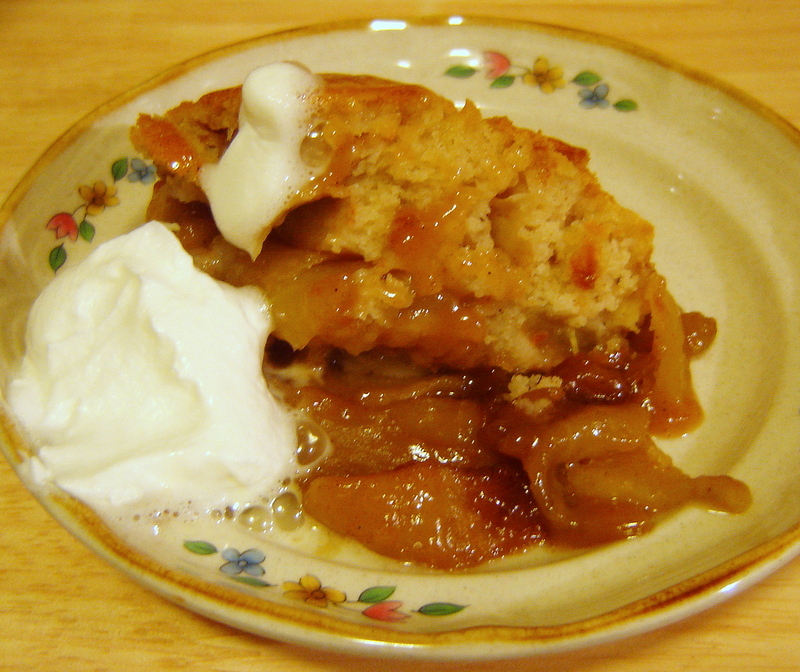 For apple mixture: combine apples, flour, sugar, butter, vanilla, and apple pie spice, in a large bowl. Toss well. Spoon into a 12-inch cast-iron skillet. Add the 1/2 cup water. Drizzle caramel syrup over top. 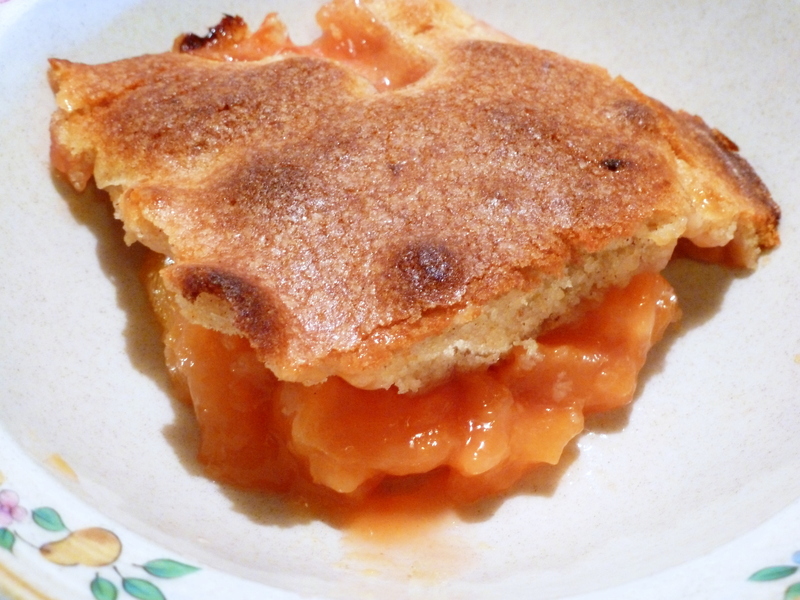 For Topping: combine flour, sugar, baking powder, salt, and apple pie spice in a medium bowl; cut in butter with a pastry blender or 2 knives until mixture resembles coarse crumbs. Add milk and vanilla; stir until just moist. Drop batter by tablespoonfuls over apple mixture. 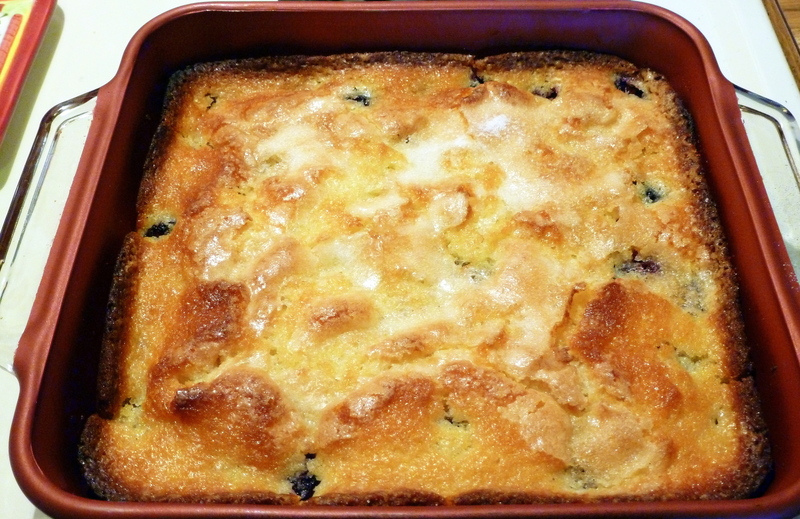 Bake for 1 hour, or until cobbler is bubbly and browned. Serve warm.